Giveaway! 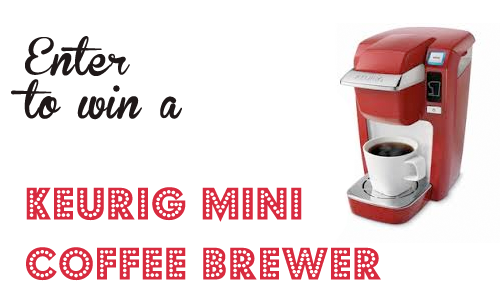 Win a Keurig Mini Coffee Brewer!! Woot!!! Ready for another AWESOME giveaway?!?! I have partnered up with my friend, Chrystie from I Love To Gossip to bring you a Keurig Mini Coffee Brewer Giveaway! One lucky winner will win a Keurig Mini Coffee Brewer! The giveaway begins today, December 21st at 9am EST and ends Monday, December 23rd at 9am EST! There’s not much time, so you’ll want to enter to win a Keurig Mini Coffee Brewer by liking us on Facebook and Pinterest! You can earn up to 12 entries! Please note, the prize will arrive after the holidays. Thank you for understanding!